State and local governments around the country are struggling to reconcile the debt they owe to public pension programs. Several Californian localities, in particular, have been overwhelmed with insurmountable levels of pension debt obligation. Until last month, state law in California dictated that these governments do whatever necessary to keep pension plans intact, but now a new court decision is giving them free reign to gut the plans as they see fit. That’s not going to help them get rid of the problem anytime soon, though. With Baby Boomers set to retire in record numbers over the next several years, Negative Interest Rate Policy (NIRP) potentially on the table, and the possibility of trouble in the bond market (where most pensions are heavily invested), things could get a lot worse for pension holders – not just in California, but across the U.S.
Until this decision, California governments were explicitly required to maintain benefit levels of their public pension plans. If they took something away, it had to be replaced in-kind by some other benefit or form of compensation. Now that rule is gone, and some believe it could cause governments around the U.S. to re-evaluate their obligations to pension holders too. As if pension plans didn’t have enough working against them, there’s one big factor that could compound their plight even further: negative interest rates. The problem stems from the fact that pension plans rely on steady returns from their investments in stocks and bonds to stay viable and solvent. Without those returns, pensions have no way to reliably pay out benefits obliged to plan holders. And when the Fed pushes rates down, it becomes exceedingly difficult for pension managers to get those crucial investment returns. According to John Mauldin, low interest rates on their own, such as the ones we’ve seen for the past several years, are enough to severely risk putting pensions in the red. 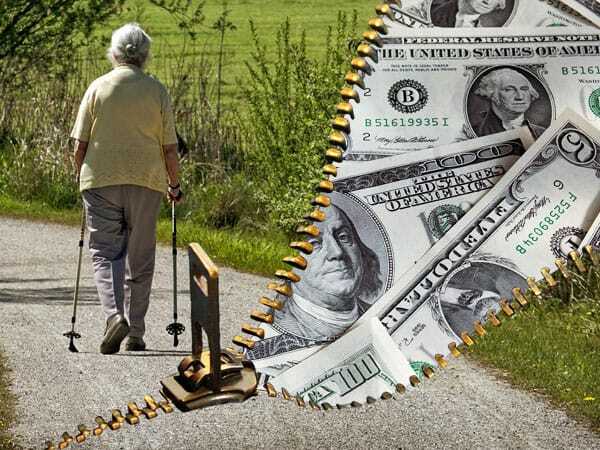 However, if we enter the world of negative rates, which doesn’t seem terribly unlikely, it could set us up for a major collapse in the entire pension system. Add to that the issue of how negative interest rates could tank the bond market, in which most pension plans are heavily invested, and you’ve got a perfect storm brewing. As you’ve seen here, the prospect of relying entirely on a pension plan for your retirement isn’t ideal. Pensions can be cut; their holdings can be decimated by the whims of the market; and now the government can effectively legislate your hard-fought pension dollars away from you! Unlike pensions, physical gold isn’t subject to any of those risks. The only person who holds power of the money you invest in gold is you. Looking at how uncertain the situation is now, protecting your retirement with gold could make a lot of sense – regardless of the status of your own retirement savings, but especially if you’re invested in a pension plan.